It's not April yet and let's not forget, Gary Con VII takes place this weekend from March 26th to 29th in Lake Geneva, WI, and celebrates gaming old and new. Four days with some of the finest gamers/designers in the business from all eras. See more on their website here. Some events locally include . . .
First up, Kris Herzog is organizing a gameday for Sunday, April 8th at 11 am to be held at Gregs Catering 3120 Roberts St, Franksville, Wisconsin 53126. It's a short trip from the Milwaukee, Lake Geneva, and Kenosha areas, so stop on by for free gaming a great, reasonably-priced eats. Join the event through the Facebook group here. The third Saturday and Sunday of April, and indeed almost every month, includes the Burlington Gameday on Saturday, April 18th which sets up events through the Burlington UCC Game Day group on Facebook here and A Gathering of Gamers on Sunday, April 19th, set up by the South Lakes Area Gamers here. The former is in Burlington, WI at the Plymouth UCC space and is free taking place from approximately 11 am to 5 pm. The latter takes place at the Pizza Ranch in Elkhorn, WI, and requires a $12 fee for the all you can eat pizza and fried chicken buffet (salad bar, soft-serve ice cream machine, etc.) plus unlimited soft drinks and coffee from 11 am to 8 pm. 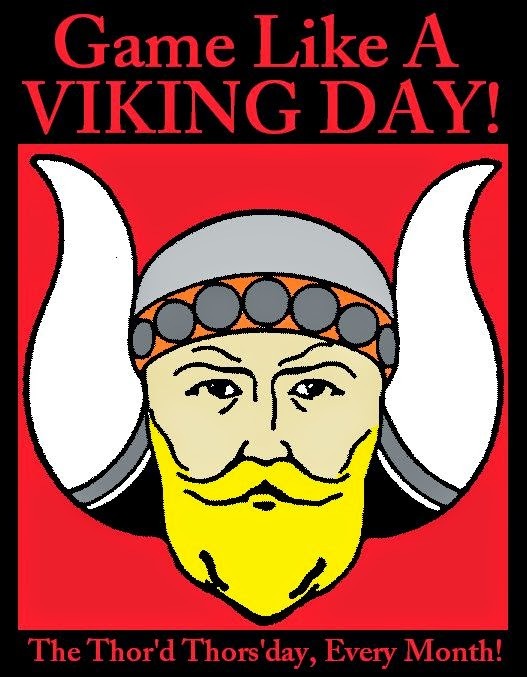 Be sure to make your plans for April 16th, the "Thor'd Thors'day" of April, since it is the monthly Game Like a Viking Day! 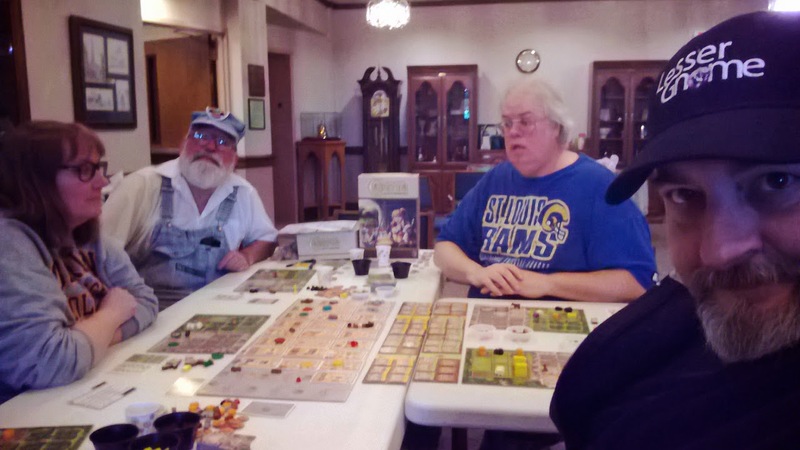 It's a chance, no matter where you are, to break out your Viking-themed tabletop games and have at it. See more of this ongoing monthly day of fun on the Facebook page here. Some of this information is from the excellent lists on upcomingcons.com/gaming-conventions, GameConventionCentral.com, HMGS (the Historical Miniatures Gaming Society), and as well as many, many gamers on Facebook and Google Plus, to whom I am grateful for the help in this compilation. Thanks so much and have a great game!